I aim to eat two portions of oily fish every week. Salmon is packed with Omega-3 fatty acids, vitamins D, B6 and B12 and also contains, selenium, phosphorus, pantothenic acid, biotin an potassium. 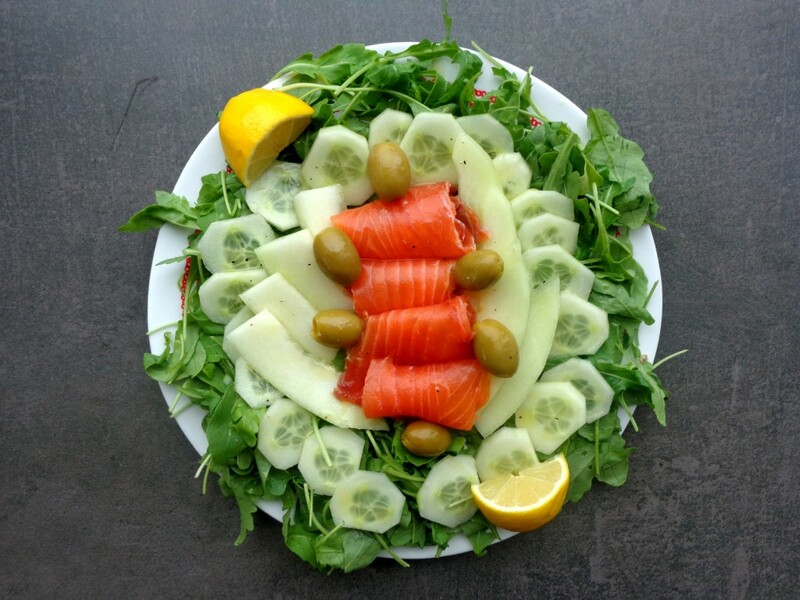 If I am in need a quick meal smoked salmon is a great option as I can pair it with a beautiful salad in less than 5 minutes. Arrange the salad on a plate: placing the rocket first, then cucumber and melon. Next wrap slices of the smoked salmon and lay on top surrounded by a bed of greek olives. Squeeze freshly lemon juice on top, a drizzle of extra virgin olive oil and a good pinch of sea salt.